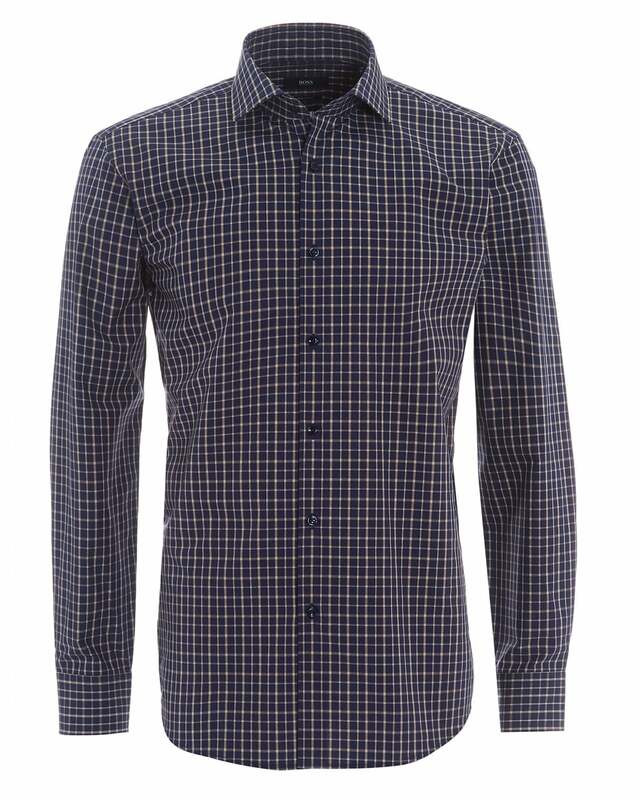 Decorated in a distinctive medium check, this navy Gordon shirt from Hugo Boss will add sophisticated style to your smart casual repertoire. Crafted from super-soft cotton it features a cutaway collar, navy buttons and adjustable button fastening cuffs. Men’s Shirts Size Chart: N.B Most of our shirts are fitted, i.e. Armani or Vivienne Westwood Man and this chart reflects this. For a regular fit shirt, go down a size, unless you want a looser fit, like Boss and Ralph Lauren.